SQL Server Online Backup is a feature that few online backup service providers have even contemplated let alone added as a working feature of their product. Most online backup companies give so very little information about their product, instead opting to cover their website with “we’re great, sign up now”. Here at OnlineBackupSpot.com we dig deeper so we can provide the detail you are looking for in your online backup reviews. There are two ways you can accomplish SQL Server Online Backup. 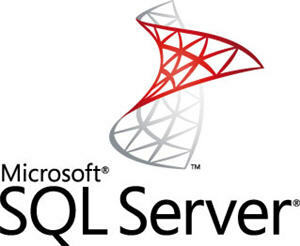 Online Database Backup – This is where a SQL Server aware and capable program extracts the data from the database. Preferred method, hard to find. Mozy Pro offers this. Offline Database Backup – This is a two step process. You have to configure a scheduled SQL backup on your own and then make sure the online backup program includes those files. WARNING! Make sure the files are not named with .BAK extension if you use a product like Carbonite Pro which excludes .BAK files by default. While the offline database backup for SQL Server is not the worst thing in the world, since you can schedule it to happen automatically, it is one more thing to go wrong. Just as a precaution, you had better be monitoring that job to make sure it runs successfully each and every time. With Mozy Pro you can actually schedule an online SQL database backup to happen up to 12 times per day. Check out Mozy Pro, our preferred server online backup solution. Filed under Server Online Backup and tagged mozy pro, server online backup, sql server backup, SQL Server Online Backup.